Htaccess Redirect To HTTPS – How to Redirect Your Web Traffic to HTTPS? Google has started showing insecure warnings on sites without SSL certificates. Without SSL, your site will show unsafe to your visitors. Therefore, it is now essential to have an SSL certificate on your site. SSL is a short-term of Secure Socket Layer which helps in establishing an encrypted bond between a web-server and a web browser. This bond ensures that all data transferred between the web-server and web browsers remain secure and private. SSL certificates are essential for making the trust of your customers. SSL certificate encrypts the sensitive information of your visitors. 1. Is your Website includes contact forms, login panels, search options, etc.? 2. Is your Site without SSL or HTTPS://? If YES to the above questions, you need an SSL certificate for your website right now. If you don’t purchase the SSL certificate, There is a warning message Not Secure in the Address bar which will display to the visitors on visiting your site. SSL certificates are essential for making the trust of your customers. To redirect your web traffic to the HTTPS, you need to edit the code in the htaccess file. If you are a beginner in WordPress and don’t know about updating the htaccess file, I’ll tell you how you can edit the htaccess file. If you know the ways of edit the htaccess file, you can skip this. 1. You can edit the file on your computer and then upload the file using FTP. 2. Edit the files using FTP details of your site remotely. 3. Using File Manager in cPanel. 4. Use Text Editor and SSH to edit the file. 2. Click on File Manager icon. 3. On the upper right-side click on Settings. 4. 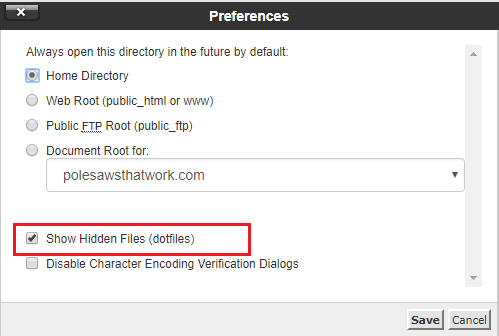 Check Show Hidden Files to display the .files(dotfiles). 5. Locate the .htaccess file. 6. Right-Click on the htaccess file and select Edit from the menu. 8. After that Click on Save Changes. Before saving the file, make sure to replace yoursite.com with your domain name.